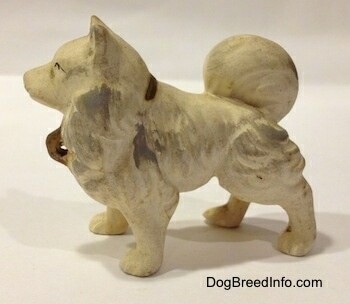 This is a hand painted vintage German Spitz ceramic dog figurine. 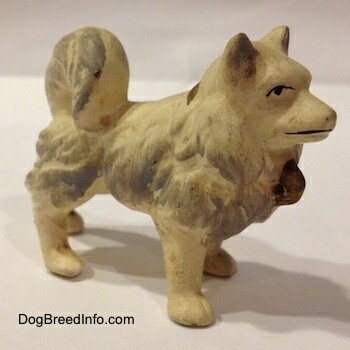 This little dog appears to have once been part of a chain-linked set. 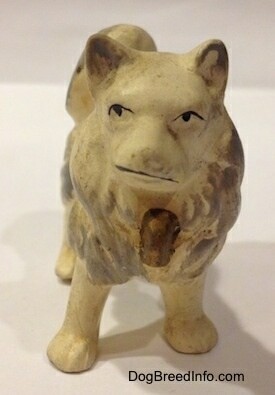 Those types of figurines were popular in the 1940s and 1950s. The piece is in excellent condition with no chips, cracks, breaks or repairs. 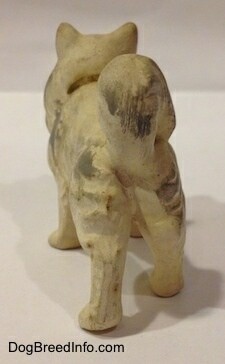 It stands 2 inches tall, 2 1/2 inches long and 1 inch wide. 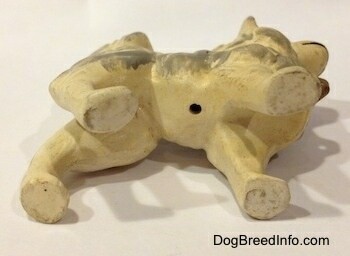 This was most likely one of the puppies from a larger set that contained an adult dog.